Based on the second chance choice Robert Frost made before he finally published his first poem, The Road Not Taken, this short film was created to provide trainers and presenters with a tool to inspire people to take risks and move forward. Everyone deserves a second chance. A real, life-changing event that’s so much more than back to business as usual. Below you will learn about the benefits of using this program within your organization. INSPIRATION Use the story to inspire viewers to take action. MOTIVATION Use the story to motivate viewers to overcome setbacks. 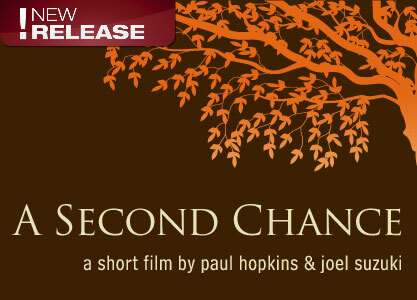 CHANGE Use the story to encourage viewers to see change as a second chance opportunity. DETERMINATION Use the story to help viewers take risks. PERSEVERANCE Use the story to remind viewers to never give up. A Second Chance can be used as a meeting opener, closer, or as an inspirational piece to reinforce your current training initiatives. There are three versions of this program: the original, with text, and music only. This increases your training options.